Nottingham Forest is one of English football’s most famous clubs and the two-time European Cup winners know how to produce young talent. 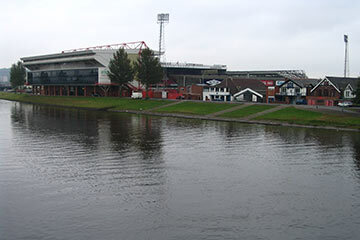 Live Championship games at the City Ground are worth the journey alone, but taking on the club’s young hopefuls at Nigel Doughty Academy is our main recommendation. The club’s coaches have been producing top professional talent for a number of years and you get the chance to learn from them on this tour. The chance to learn from coaches who have produced such elite talent was eye opening and unforgettable for the kids.